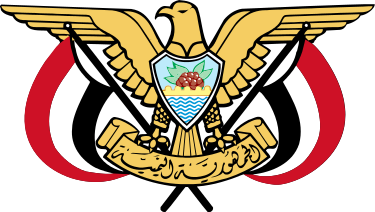 The Government of the Republic of Yemen affirms that its national army operations supported by the Arab Coalition to liberate the West Coast areas controlled by (Houthi Saleh) militias where Yemeni citizens are suffering from repression and massive violations of human rights, enforced disappearances, forced recruitment of young people and children, extrajudicial killings, denial of humanitarian aids and the bombing of houses) come within the efforts of the government to end this suffering and come within its core duties and responsibilities to protect its citizens rights from the violations perpetrated by (Houthi-Saleh) militias who do not respect any international conventions or human rights laws. The Yemeni government reminds the international organizations about (Houthi-Saleh) actions with regard to humanitarian supplies coming via Hodeidah port, where the coup leaders sell such assistance, particularly petroleum products and food supplies, in the black market to obtain funds to help finance their continued military operations while the people of Hodeida governorate are suffering from famine. The government of the Republic of Yemen confirms that it works in cooperation with King Salman Center for Relief and Humanitarian Works, Emirates Red Crescent and other relief organizations to provide the necessary relief for the affected people and rehabilitate vital facilities in the city of Mokha and other towns in the southern Red Sea area after liberation from the (Houthi-Saleh) forces who had used those areas for threatening the international shipping lanes and for arms trafficking. In this regard, the national army demining teams had removed hundreds of forbidden landmines from the city of Mokha and subsequently called on citizens to return to the city.